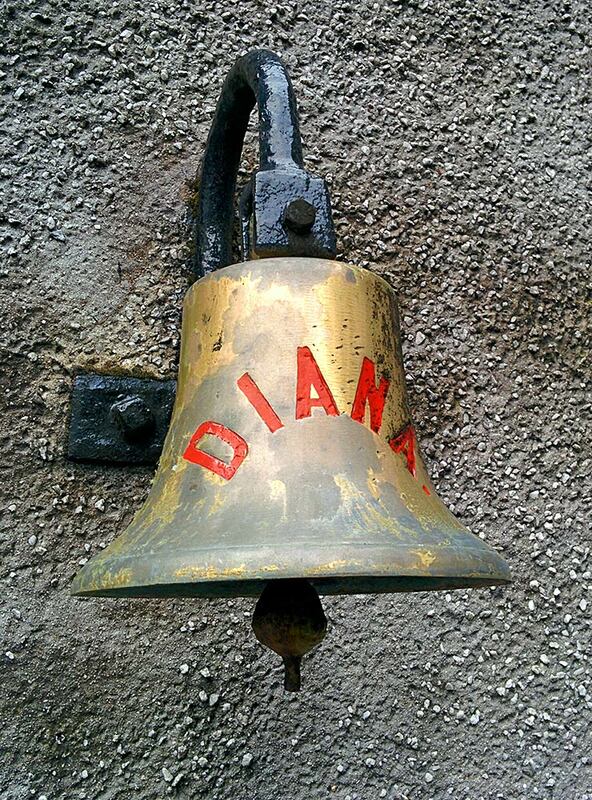 I don’t know the story behind it (I’m hoping somebody will tell me so that I can update this post), but this bell with the name Diana on it is hanging on a wall at Bunnahabhain distillery. 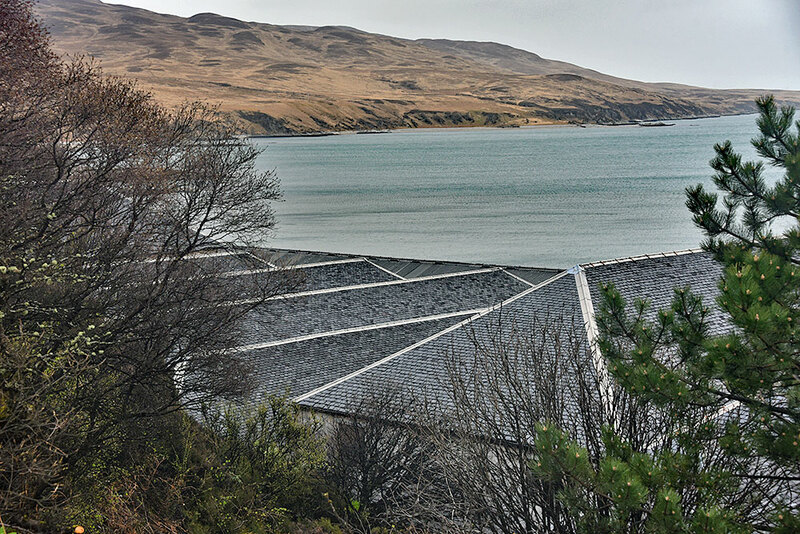 A different view of the Bunnahabhain distillery warehouses, looking down at the roof from behind. Bunnahabhain Bay and the Sound of Islay stretching into the distance behind it. 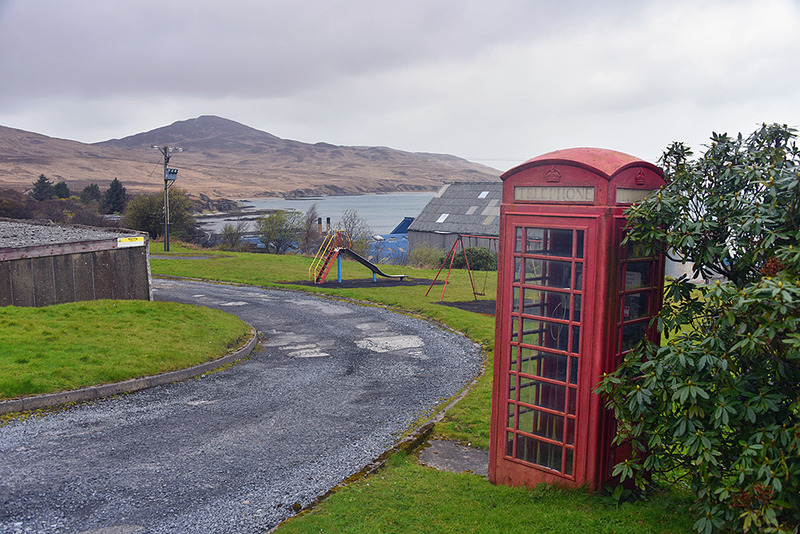 Islay’s most northerly red phone box can be found in Bunnahabhain (at least for now). Left of centre, behind the slide, you can make out some roofs of Bunnahabhain distillery (I’m not sure if the building behind the swings belongs to the distillery or the village). In the distance on the left Sgarbh Breac, at 364m the highest hill in the north of Islay.